The prominence of Buddhism in Odisha has witnessed an interesting trajectory. Though, Lord Buddha himself never visited Odisha, his message was always warmly welcomed. The hair relic or Kesa Asthi of Lord Buddha was bought to Odisha by two famous traders Bhallika and Tapassu. Presumably, they were also the first disciples of Lord Buddha. Eventually, even the tooth and nail relics of Lord Buddha were bought to Odisha. The interesting travelogues of Chinese scholar Hsuan Tsang dramatically reveals how Buddhism flourished in Odisha. The famous Buddhist tourist attractions in Odisha are located in Udayagiri, Ratnagiri, Lalitgiri, Dhauli, Tarapur and Radhanagar. 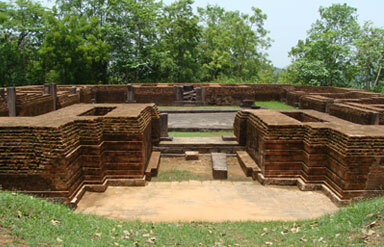 In fact, it’s in Odisha after the Kalinga War, when Emperor Ashoka embraced Buddhism, changing the course of history. Embark on the ‘Diamond Triangle Tour of Odisha’ tour that includes Ratnagiri, Udayagiri and Lalitgiri. It is one of the best ways to explore the Buddhist heritage in Odisha. Located 30km away from Cuttack, the Udayagiri hill exhibits one of the largest Buddhist monasteries in Odisha. Recent excavations reveal that this complex was called as ‘Madhavpura Mahavira’. Excavations have been initiated in Udayagiri since 1960s. A picturesque stone-well and stunning rock-cut sculptures adorn Udayagiri. One can spot ancient inscriptions embellished over them. Four statues of Lord Buddha, pointing to the four main directions has also been excavated. Also called as Naltigiri, it is a famous Buddhist complex flaunting beautiful monasteries and stupas. The excavation initiated in 1985 and continues till today. 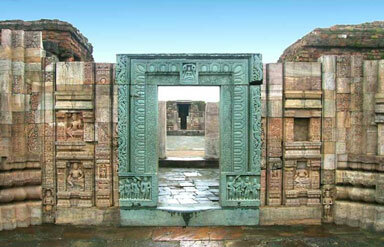 It is the oldest of the three sites included in the ‘Diamond Triangle Tour in Odisha’ and belongs to 1st century. Lalitgiri along with Ratnagiri and Udayagiri together form the Puphagiri University. During the ancient days, it was one of the esteemed education centres for higher studies. Additionally, silver and golden articles had been excavated from the casket relics. Majestic Buddha statues signifying the spread of Mahayana Buddhism have been discovered. Ratnagiri hill is located in Brahmani and Birupa valley located in the Jajpur district. It is the third most important destination of the Diamond Triangle. A large monastery, a giant stupa and several other Buddhist shrines have been excavated. The findings of Archaeological Survey of India also reveal that Buddhism had originated at this point and continued to flourish till 12th century. Numerous votive stupas have also been unearthed, making it one of the richest Buddhist findings in the state. These shrines narrate the strong influence of Buddhism during the rule of King Narasimhagupta Baladitya of Gupta Dynasty. Located on the banks of Daya River, Dhauli hill is the venue of the ‘Great battle of Kalinga.’ Emperor Ashoka was a great ruler of Maurya Dynasty. He was horrified to realise the massive bloodshed caused by the Kalinga War. It made him realise the failure of the wars and as a result, he chose the path of Buddhism. 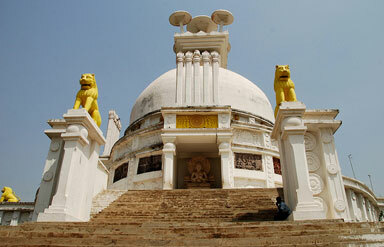 He made sure that Dhauli became an important centre for Buddhism and built several shrines and stupas. Edicts by Emperor Ashoka can be spotted on the rocks. A beautiful white-washed peace pagoda is perched at the hill-top. The massive dome was built in 1972. 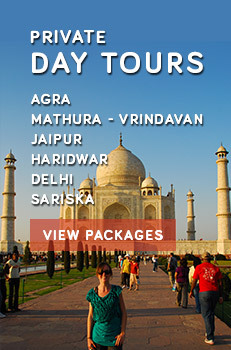 Book for Buddhist Temple Tour in Odisha and become a part of this magical experience.